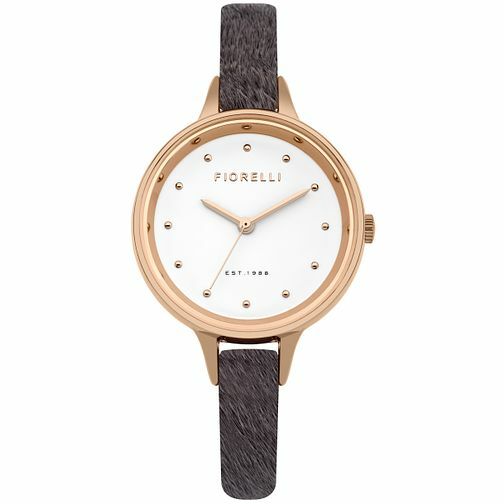 Introducing contemporary, chic and elegance from Fiorelli. This eyecatching watch features a fine faux fur strap. Paired with a lavish rose gold plated case and a clean white dial.